It couldn’t be more true! All you need IS love, and a dog of course! 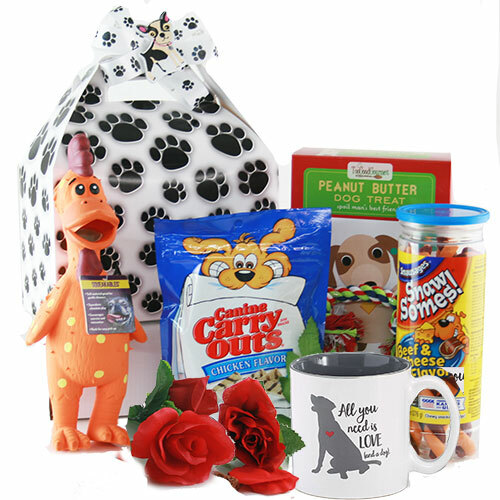 Packed inside this adorable paw print tote is a whole lot of lovin’ from you in the form of yummy for their tummy treats and toys too!